Many observers in the MMA world predicted that Chuck Liddell vs. Tito Ortiz 3 would perform very poorly in the pay-per-view market, and according to initial reports that appears to be the case. The legends fought last Saturday in Los Angeles, under the Golden Boy Promotions banner, and Ortiz KO’d Liddell in the opening round. Recently the LA Times’ Lance Pugmire reported he’s heard the event may have sold around 30,000 PPV buys, while Yahoo Sports Kevin Iole has heard the event sold just 25,000. 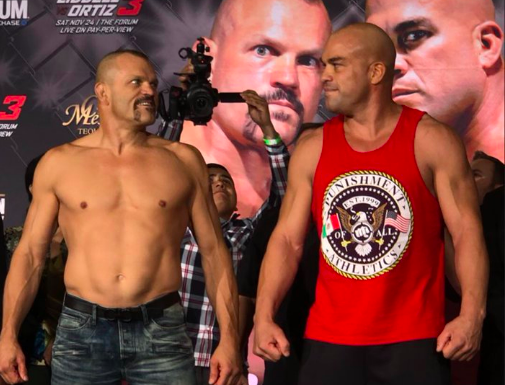 Liddell won the first two fights with Ortiz, in 2004 and 2006, via stoppage.